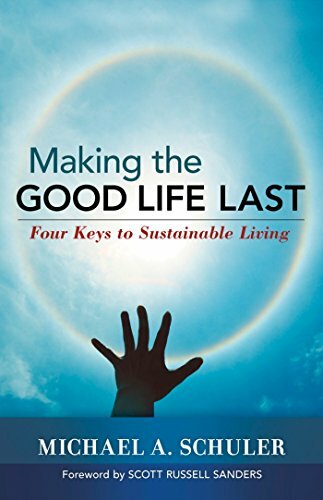 [PDF] Making the Good Life Last: Four Keys to Sustainable Living | Free eBooks Download - EBOOKEE! Description: The Sustainable Life Is the Good Life In our materialist culture, the idea of ""the good life""fancy cars, designer clothes, once-in-a-lifetime vacationsleaves even those few who can afford it feeling anxious, empty, and dissatisfied. Michael Schuler deconstructs the assumption that consumption and constant stimulation equal happiness. He shows how, by applying the principles of sustainability to our personal lives, we can discover treasures of perennial value: a beautiful and healthy earth home, enduring relationships, strong communities, work that contributes to the common good, and play that restores our bodies and lifts our souls. No comments for "[PDF] Making the Good Life Last: Four Keys to Sustainable Living".